To claim this profile, please confirm you are Seione Bethell. To follow this profile, please let us know your relationship to Seione Bethell. Seione's basketball stats have been updated for the loss @ Parkway West. RESULTLoss Girls varsity basketball @ Parkway West. The Samuel Fels varsity basketball team lost Friday's away non-conference game against Parkway West (Philadelphia, PA) by a score of 45-29. Seione was selected the Player of the Game in the basketball game against Wissahickon on Mon, Jan 14 2019. Congratulations to #4 Seione Bethell for being selected the Samuel Fels Girls Basketball Player of the Game. Seione was selected the Player of the Game in the basketball game against KIPP DuBois Collegiate Academy on Wed, Dec 12 2018. Seione was selected the Player of the Game in the basketball game against Carver High School of Engineering & Science on Thu, Dec 13 2018. Seione was selected the Player of the Game in the basketball game against Hill Freedman World Academy on Wed, Jan 16 2019. 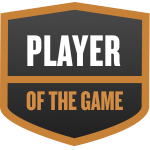 Seione was selected the Player of the Game in the basketball game against Jules E. Mastbaum Vo-Tech on Mon, Jan 28 2019. Seione was selected the Player of the Game in the basketball game against Nueva Esperanza on Wed, Jan 30 2019. RESULTWin Girls varsity basketball @ Nueva Esperanza. The Samuel Fels varsity basketball team won Wednesday's away non-conference game against Nueva Esperanza (Philadelphia, PA) by a score of 51-44. Seione's basketball stats have been updated for the loss @ Jules E. Mastbaum Vo-Tech. RESULTLoss Girls varsity basketball @ JEMVT. The Samuel Fels varsity basketball team lost Monday's away non-conference game against Jules E. Mastbaum Vo-Tech (Philadelphia, PA) by a score of 33-32. Seione's basketball stats have been updated for the win vs. Penn Treaty. The Samuel Fels varsity basketball team won Friday's home conference game against Penn Treaty (Philadelphia, PA) by a score of 33-25. Seione's basketball stats have been updated for the win vs. Dobbins-Randolph Vo-Tech. RESULTWin Girls varsity basketball vs. DRVT. The Samuel Fels varsity basketball team won Wednesday's neutral non-conference game against Dobbins-Randolph Vo-Tech (Philadelphia, PA) by a score of 40-32. The Samuel Fels varsity basketball team won Wednesday's neutral non-conference game against Randolph Vo-Tech (Philadelphia, PA) by a score of 40-32. Seione's basketball stats have been updated for the loss vs. Hill Freedman World Academy. RESULTLoss Girls varsity basketball vs. HFWA. The Samuel Fels varsity basketball team lost Wednesday's home conference game against Hill Freedman World Academy (Philadelphia, PA) by a score of 44-32. Seione's basketball stats have been updated for the loss vs. Wissahickon.